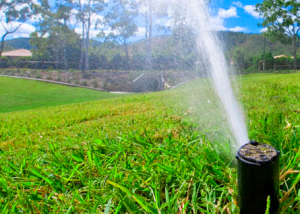 Avoid over-watering lawns and gardens, usually it is just a waste of water. Depending on the type of soil, watering may need to occur more frequently, for less time, to eliminate runoff. Example: In heavy clay a yard should be watered 3 times a day for 5 minutes, for a total of 15 minutes. This will allow the water to soak in, while minimizing runoff. Water in the early morning. This allows for the leaf surfaces to dry off during the day, which will prevent fungus that is usually caused by watering in the evening. Early morning watering also saves money on the water bill, since most of the water can soak in and not evaporate. To accomplish this have the watering cycle finish just before sunup. Use mulch such as; pine bark, compost, wood chips, lava rock or limestone on any areas of exposed dirt surrounding plants. This will significantly reduce moisture evaporation. However, don’t use sheet plastic to cover exposed dirt, this will prevent it from breathing. Adjust the system as the weather and seasons change. This can be done manually or with a Weather station device that detects rain, high wind, or freezing weather and automatically adjusts run times. This device is easily installed. Once your controller has been set properly, Leave it alone until the weather conditions change. Increase timer and/or days when hot and decrease when cool. 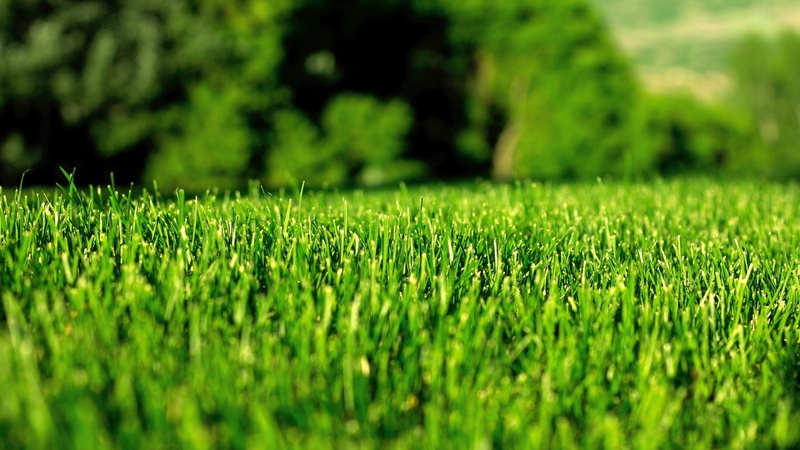 Your lawn mowing equipment plays a major role in growing a healthy lawn. Things like the type of mower you use, height of the mower blade(s), and basic mower maintenance can make a big difference in the health of your lawn. A healthy lawn is more likely to be resistant to certain weeds and diseases and knowing the basics of lawn mowing is a great start. Aerating lawn or landscaping sections of turf has numerous benefits, including: Relieves soil compaction, Helps manage thatch, but does not correct severe thatch problems, Improves penetration of air, water, and nutrients into the soil, and stimulates root growth.